The Big Ten Network crew of Dave Revsine, Gerry DiNardo and Howard Griffith are in Lincoln today to take in a Nebraska football practice as part of the annual bus tour that visits each school in the conference. 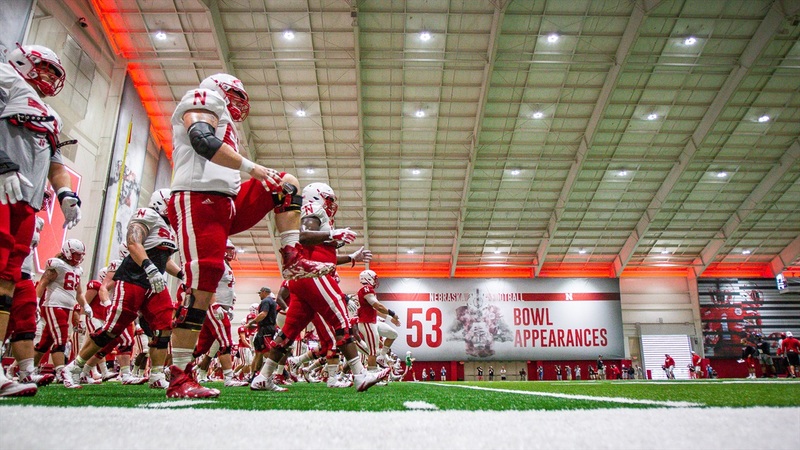 They were up and at it early to match Nebraska’s typical practice schedule . . .
. . . and it wasn’t long before the crew started sharing videos from practice. Scott Frost sure seems to get plenty of throws in at practice. OK, yeah, that’s a pretty good throw. Some newcomer to newcomer flavor. True freshman cornerback Cam Taylor’s name continues to come up this August. He even has the eye of BTN. That’s a tackle for loss. A little bit o’ Greg Bell. Troy Walters: "You're either getting better or you're getting worse. Nothing stays the same." Here's the head man himself. Normally Purdue comparisons aren’t favorable, but in this case . . .